PISCATAWAY, N.J., Aug. 01 /CSRwire/ - As the global cement industry mobilizes to address the mounting challenge of water scarcity, a new white paper from Solidia Technologies®, a cement and concrete technology startup, details how innovative technology that advances water reduction in production will play an increasingly vital role in reducing the industry’s consumption of and dependence on water. 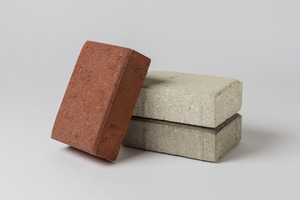 Solidia Technologies® has developed a new class of sustainable cement, hereafter referred to as Solidia Cement™ that reacts with gaseous CO2 rather than with water to form Solidia Concrete™. Like their OPC-based concrete counterparts, concrete objects made with this sustainable cement require the incorporation of water for shaping and forming only. However, the water used in concrete formulations based on Solidia Cement is not consumed chemically and can be recovered during the CO2 -curing process. If Solidia Cement were used instead of OPC, the amount of water consumed during the production of concrete could be reduced by0.26 to 0.45 billion tons. This corresponds to an annual global water savings approaching two billion tons, or two trillion liters. Advancing new technologies and practices such as these are paramount for the industry’s future success. Based in Piscataway, N.J., Solidia Technologies® is a cement and concrete technology company that makes it easy and profitable to use CO2 to create superior and sustainable building and construction materials. Solidia’s patented processes start with a sustainable cement, cure concrete with CO2 instead of water, reduce carbon emissions of cement and concrete up to 70%, and recycle 60 to 80% of the water used in production. Using the same raw materials and existing equipment as traditional concretes, the resulting CO2-cured concrete products are higher performing, cost less to produce, and cure in less than 24 hours.